Concealed carry has become a part of many people’s daily lives today. Increasingly dangerous scenarios necessitate the need for concealed carry. With the firearm carry needs of people in mind, a ton of different CC accessories sprouted over the market. One very useful accessory among them is the concealed carry vest. Here we’ll be talking about what a concealed carry vest is, and its ideal uses. We will also discuss the qualities an ideal CC vest must have, in case you decide to purchase one. Furthermore, we have also classified and reviewed the best concealed carry vests on the market, to assist you in your purchase. As the name suggests, a concealed carry vest assists you while you carry your firearm. It helps you conceal your weapon, and provides you with some extra space to also carry other accessories and other items. Some concealed carry vests have built-in holsters which protect your gun, help maintain its position, and make it comfortable to carry. Apart from concealed carry (CC), there are several other uses for concealed carry vests. Each of them has their advantages and disadvantages. Concealed carry vests can be used for everyday use, especially during winters. CC vests are designed from typical concealed carry jacket fabric, so are similar in appearance and function to any other jacket. However, such vests are not very commonly worn and might reveal your concealed carry cover. Another very obvious and intuitive use of concealed carry vests is during outdoor adventures. Activities like hunting, camping, and hiking require a person to carry a lot of stuff. Such vests come in handy in these situations. There’s a reason you see similar vests in many rural areas. Concealed carry vests are also useful on road trips, especially when riding a motorcycle. Apart from keeping you warm, they help you carry other items all in one place. These vests also eliminate the need to carry fanny packs or handbags which might interfere with comfort and style. As with any impeccable product or design, a concealed carry vest must also possess certain qualities to stand out from the crowd. We have handpicked and reviewed our top picks based on a mix of these qualities, which make them excellent concealed carry vests. Just like any other clothing item, the foremost quality of a concealed carry vest must be comfort. Since the vest is going to carry your weapon, along with some other stuff, it should not strain your neck. Vests with shoulder backing and reinforced design are good for this. Plausibly, all the products reviewed below perform reliably in the area of comfort. A good concealed carry vest must have some sort of backing for the holster. A Velcro attachment, snap buttons, or an elastic lining will prevent the firearm from flopping around. A good vest must have ample carrying capacity to allow you to carry your most important stuff at all times. 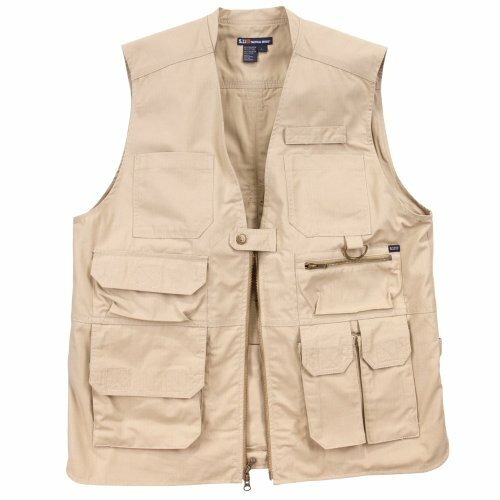 Certain vests have a ton of pockets which can come in handy while on an outdoor activity like hunting. Whereas, others just help you carry extra mags, phone, credit cards, and gloves. The purpose of a concealed carry vest is to conceal your weapon, but that’s not always possible. That’s because some designs have too many pockets and make it obvious to others that you are carrying concealed. On the other hand, some vests have a normal design and don’t reveal to others that you are carrying a weapon, (like #5 and #8 reviewed below). Eventually, it is your personal decision depending upon your discretion, use, environment, and situation. Based upon the qualities mentioned above, we have handpicked and reviewed the best concealed carry vests on the market. Some of these are specifically for bikers, some for adventure sports lovers, and some for casual everyday users. So read through these reviews and find out the best one for yourself. The Rothco Plainclothes concealed carry vest stands at the top of our list for the best concealed carry vests. This vest has gained this distinction due to its impeccable quality and astounding features. The vest is made of polyester which makes it lightweight and somewhat resistant to water. It has 16 pockets in all, combining large ones, small ones, zippered ones, and the Velcro ones. The vest is well made with plenty of air vents and features appropriate pockets for carrying compact to large-sized handguns. The vest is good for outdoor use, especially on hiking and hunting trips. Too many pockets might make it look bulky and will reveal your intent to others familiar with concealed carry options. This may not be a concern depending on your situation. This concealed carry vest from Rothco is exceptional for outdoor activities as it lets you carry an unimaginable amount of stuff. It is properly ventilated and comfortable. However, it reveals to firearm acquainted people that you are carrying concealed. Overall, the jacket is good, especially if you want to get rid of fanny packs and handbags. The polyester-cotton mix, tactical concealed carry vest has so much space, that it can be compared to a rucksack. It has 17 big and small pockets which can accommodate AR mags, maps, sunglasses, phone, snacks, water bottles, binoculars, and nearly anything a handbag can carry. The jacket has quad-stitched, 55 bar tacks at all stress points, plus the added trust of the renowned 5.11 brand. The jacket is cut long to help you conceal IWB and OWB sidearms. The vest also has a backup belt system which allows you to carry even more accessories. The back of the vest has a couple of elastic band pockets which can accommodate water bottles up to 32 ounces in capacity. This tactical vest from 5.11 has many pockets, which let you carry almost everything from rifle mags to key chains. The material is good and the jacket is quite well made. The backup belt system lets you carry even more accessories. It is long cut to let you conceal your OWB and IWB holsters. Overall, it delivers exceptional value for money. This concealed carry vest is a good choice for people who do not like jackets with too many pockets or to reveal that they are carrying concealed. This model is made of pure denim and has a total of six pockets, four on the outside and two holster pockets on the inside. The vest looks simple and doesn’t make it obvious that you are carrying a weapon. The five-snap front closure is easy to use. The vest can be used for normal everyday wear and also while riding, working, or camping. The vest’s material is thick and will feel warm during winters. The SOA men’s concealed carry vest is a good option for everyday carry. The vest has an understated and casual appearance so it won’t reveal that you are carrying a weapon. The material is long lasting and the build is good. 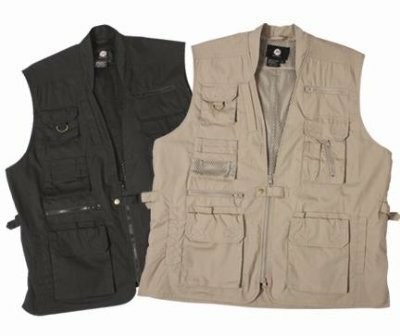 The vest is also aptly priced, however, the limited number of pockets make the jacket less suitable for hunting, camping, and tactical use. This vest is especially for leather lovers. It is made of genuine leather and features a simple design. The vest has two inside concealed gun pockets and is secured by four antique buffalo-nickel head snaps on front. The single panel back is ideal for patches, embroidery or airbrushed artwork. But be careful when choosing the size. This item fits small, so choose a size somewhat larger than your regular fit. The leather vest is a durable and long-lasting option for concealed carrying a weapon. The vest has a couple of deep pockets which can be used to hold handguns of all sizes. The vest is good for flat-sized pistol frames but might print with large revolvers, so take that into consideration. The SOA Men’s Leather Club Style Vest is made of 100% pure cowhide leather and has a simple, classy design to cover up your CCW intentions. The vest has four pockets on the outside, with a sunglasses slit on the top left one and three pockets on the inside. The internal concealment pockets can hold your handguns perfectly without flopping. An internal Velcro based pocket lets you carry an extra mag or phone inside. This vest is great for use when riding a motorcycle. The thick leather material keeps you warm, whereas the YKK zipper and snap closure offer extra protection. It features a single panel back, ideal for club or biker patches. The jacket is ideal for bikers, particularly those in a motorcycle club. 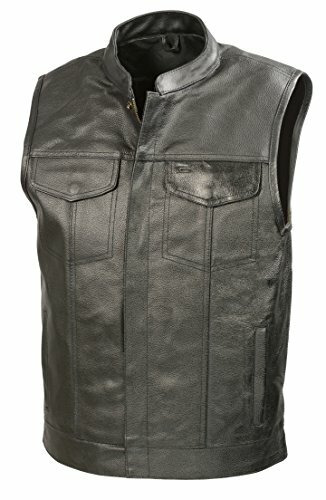 This full leather vest is exceptional for motorcycle riders, particularly those in a biker’s club. 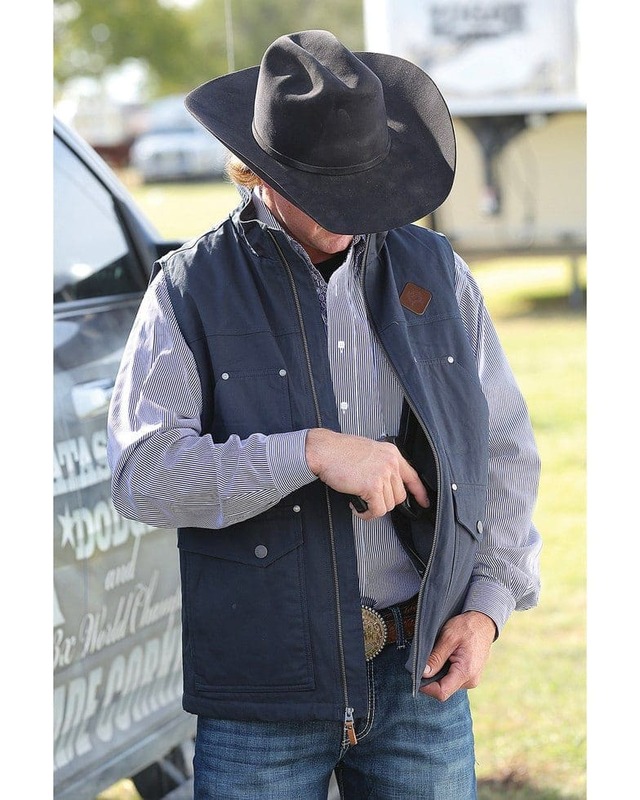 The vest has deep front pockets and internal concealed carry pockets complimented with snap buttons and elastic linings. These features prevent your gun from flopping. The flat, crease-free design will let you paste stickers, badges and other artwork with ease. 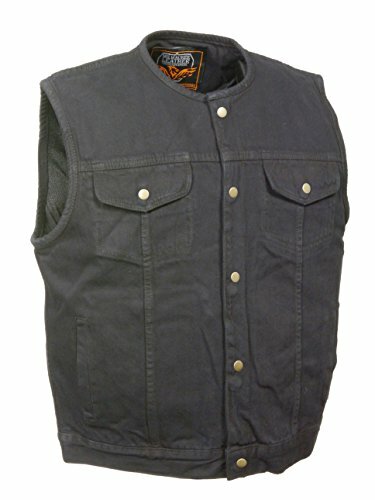 This CCW vest from Rotho is a lightweight option to the more tactical and widely used heavy vests. It features four pockets on the outside, which can be secured using magnetic snaps and Velcro. The inside of the vest features two concealed carry pockets and 4 mag pockets (two on each side) with hook and loop closure. The center slit vents on the back of the jacket offer proper ventilation to make the vest even more comfortable in hot conditions. 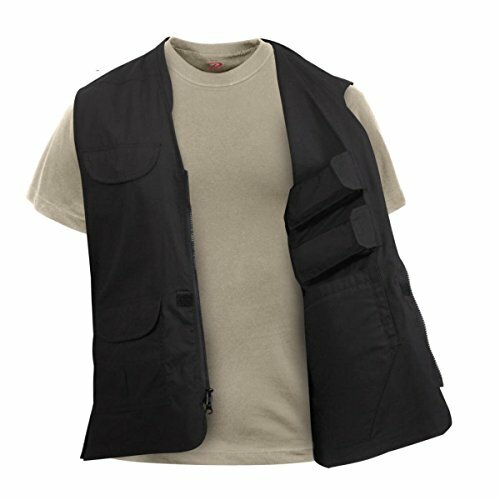 The vest has a simple and casual design, and it can be considered for normal everyday CCW. This concealed carry vest from Rothco is a lightweight alternative to the heavier and functionally more tactical vests out there on the market. The vest is good for casual and everyday use and is also very comfortable. It is a good alternative for less rugged uses. Here we have something exclusively designed for women, from a renowned manufacturer. The vest is made of a mix of polyester and spandex, with a water-resistant finish on the shoulders. 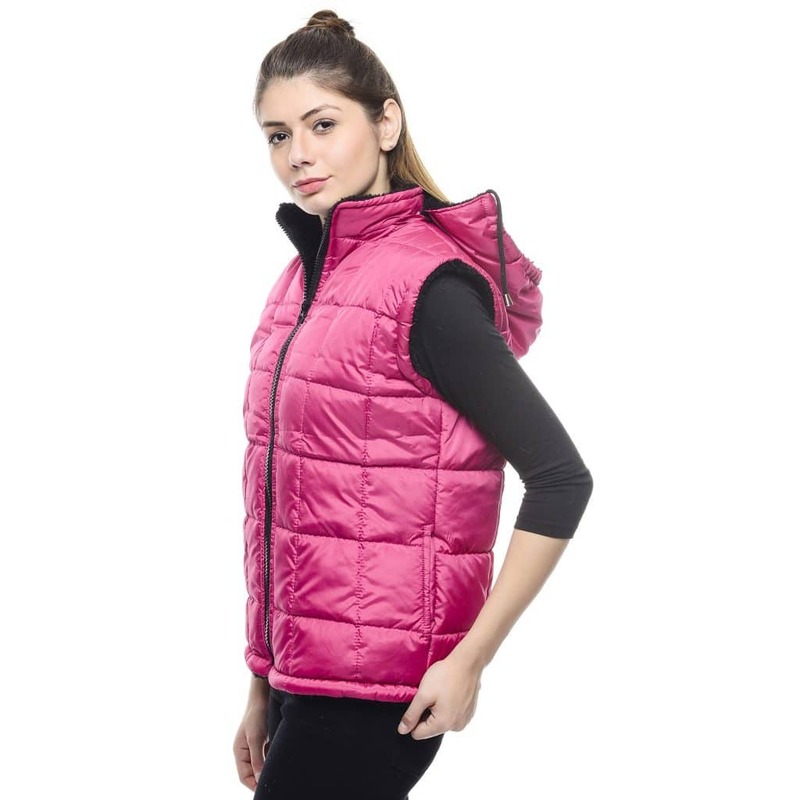 The vest has been tailored for a feminine fit and is made of a breathable, comfortable material. It has two internal concealment pockets (right and left side) with zipper and snap closures and additional pocket compartments with snap closures. The vest has been tailored for a feminine fit and looks good enough to compliment your looks and fashion. The zipper and snap closure concealment pockets are secure and easy to access. Overall, it is an exceptional CCW vest for women. The Cinch concealed carry vest is a soft shell lightweight vest made mostly of spandex. The vest has a zippered closure with two zippered pockets on the sides and one zippered pocket on the chest that features a vertical opening. The vest has two concealed carry pockets on the inside with a Velcro backed holster. It has the name “Cinch” embroidered on the front which might be a point of concern depending upon your style. This vest is lightweight and features a minimalist design. Good for carrying compact handguns. The Cinch concealed carry vest is a lightweight vest with a more simple and casual design, making it good for everyday use. The vest can be machine washed, has zippered pockets and features a velcro backed holster. The vest is exceptional for sub-compact and compact handguns but isn’t good for larger weapons. A concealed carry vest allows you to carry your weapon without an extra holster and to stay concealed. 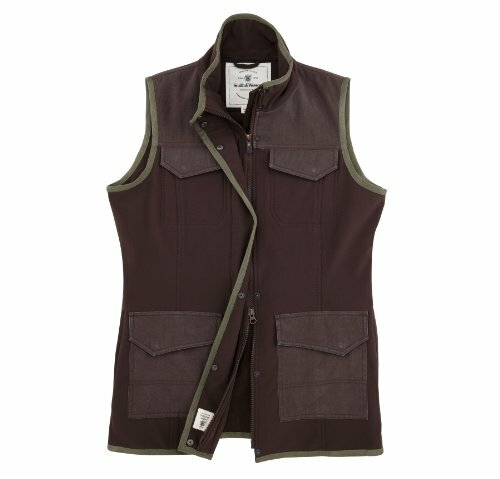 These vests are good for everyday carry as well as for hunting, hiking, and other outdoor activities. 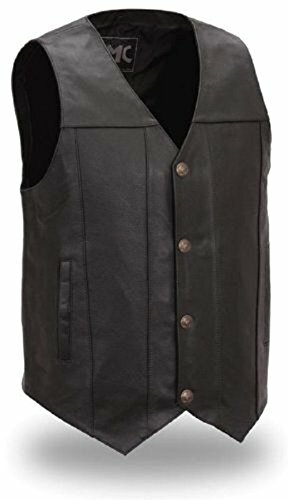 A good quality concealed carry vest must be comfortable, should have some sort of backing for holsters, and also have supporting features for added durability. Overall, it is a great accessory for concealed carry, meanwhile letting you carry extra stuff without hurting your fashion statement.